The Grauballe Man is considered to be a bog body which was discovered in 1952 from a peat bog near a village of Grauballe in Jutland in Denmark. The body is said to be in excellent state of preservation so much so that the red-haired man was believed at first to be a local who had disappeared on his way back from a local pub. It is said that the body was that of a man which dates back to the late 3rd century BC at the time of the early Germanic Iron Age who was identified as much older and named Grauballe from the nearest town,From the evidence gathered with regards to the wounds on his body it is likely that his throat was slit open and his body was then deposited in the bog where it was naturally preserved for over two millennia. Besides him there were other notable examples found in the peat bog of Jutland such as Tollund Man and the Elling Woman. The Grauballe Man portrayed an established tradition during that time which was commonly presumed that these killing could have been examples of human sacrifice, probably some important rite during the Iron Age Germanic paganism. The Grauballe Man has also been described as one of the most spectacular discoveries from Denmark’s prehistory since it seems to be one of the most amazing preserved bog bodies which have ever been recorded. On excavation in 1952, it was shifted to the Prehistoric Museum in Aarhus where it was researched and preserved. Towards 1955, the body was placed on display at the Moesgaard Museum near Aarhus and is still on display till date. 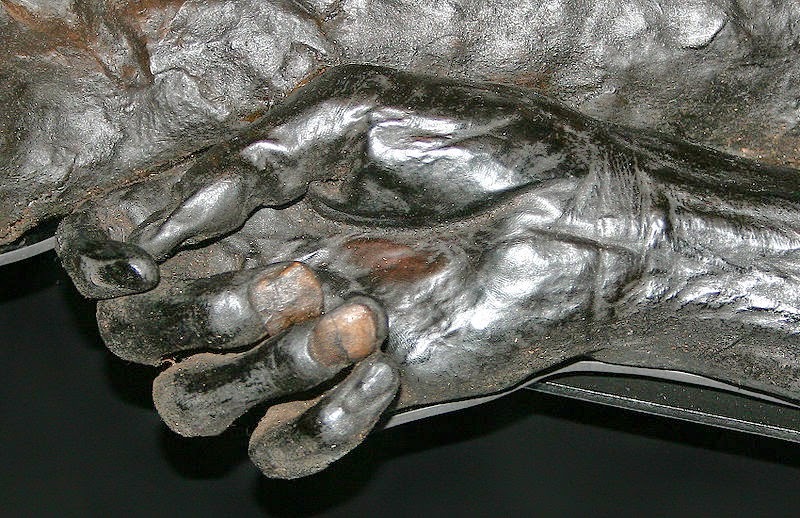 His fingerprints were taken successfully since his feet and hands were well preserved. He was determined to be around 30 years of age when he had died and on physical examination it indicated that the throat had been slit from behind. Recent close inspection of his intestine revealed that plant roots had penetrated there after his death and burial in the peat. 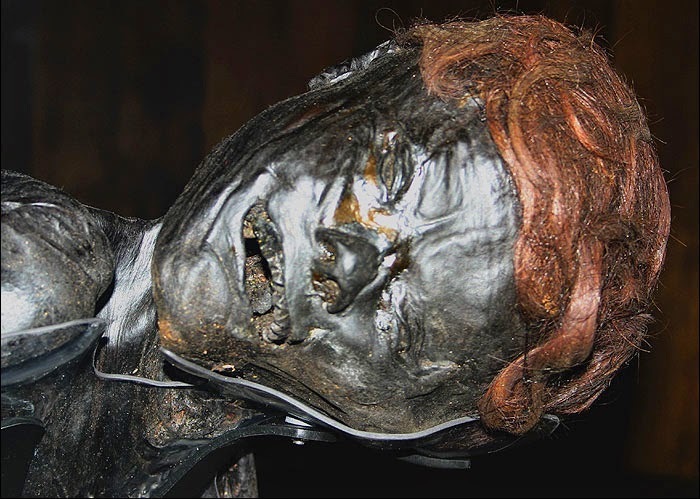 The man who had been buried in an old excavation in the peat bog like the other bog bodies pointing north-south and had his face well preserved though distorted which could have been due to the fact of being killed with his throat being cut. On studying the excavation in the peat bog which was full of water at the time he was placed in it, it is presumed that he sank to the bottom of it within a short period of time which indicates that he was placed in the bog during cold season. 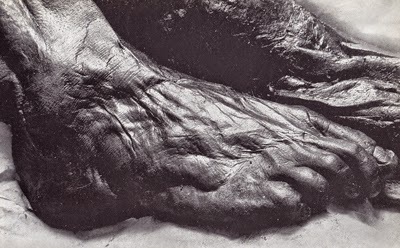 The Graubelle man when discovered was found naked which was also the case with the Tollund man who was only wearing a cap and a leather belt when discovered, In both these cases, the clothes could have been kept nearby which is always the case with other bog bodies. Besides, the clothes could have later on dissolved and disappeared due to peat digging or could have also been of flax and or nettle which will not be preserved in the bog.